In what is being dubbed the “magic resistance,” witches across the nation have announced the launch of a “mass spell” to be held at every waning crescent moon in an effort to remove President Trump from office. The Facebook page “Mass Spell to Bind Donald Trump” has over 12,500 likes as of press time and more than 13,000 followers. 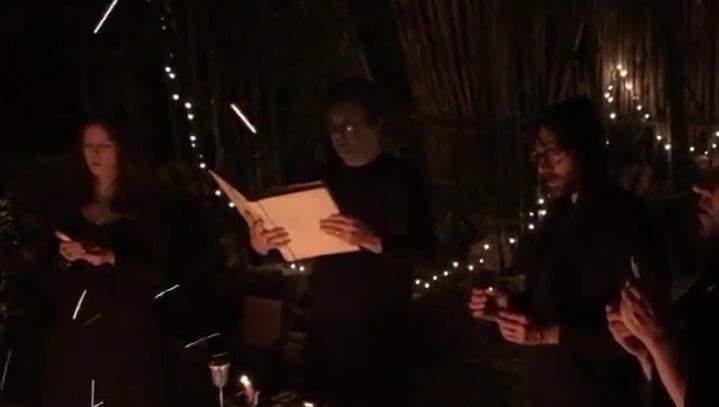 Various covens throughout the U.S. participated in the first spell on Friday, invoking the Wiccan spirits to stop both the president and his supporters. Reports of the Wiccan rituals have spurred some Christians to remind those in the Body of Christ to pray for their leaders—something that Karl Payne, a former sports chaplain, said that Christians should have been doing anyway. “Christians should not ‘begin’ praying for President Trump; they should already have been praying for him and his administration, just like they should have been doing for Presidents Bush, Clinton and Obama when they were president, whether they were one’s first choice, second choice or no choice,” he told WND. He said that Christians must stop compromising and trying to blend in with the spirit of the world.